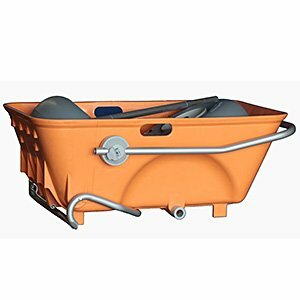 This heavy-duty Wheeleez beach cart is one of the suggested products when it comes to beach wagons. It can haul up to 220 pounds. Thus, it is considered more of a wheelbarrow than a cart. It also features oversized balloon wheels that won’t sink on the sand. Since it can carry heavy objects, it is also recommended for fishing, building projects, hunting, and gardening. The handle can be folded down during transportation. Make sure that your trunk is big enough to accommodate the cart. You can also choose the mini folding beach cart by Wheeleez if you prefer the smaller version. The main function of the beach cart is to carry your things from your car to the beach. But others use it in the lawn, farm, or garden. Those who are in need to transport loads can benefit a lot from this. Before buying a specific product, it is important that you should know what to look for. You need to focus on the different features of the product that you want to buy. It can carry up to 220 pounds of loads. It weighs 29 lbs. including the wheels and is easy to pull and push. Made from high-quality marine grade materials such as stainless steel and anodized aluminum. Have balloon design and can move quickly on different terrains. The wagon has 22 inches wide and 36 inches in length. The wheels measure around 16.5 in diameter and 7.9 inches’ wide. When not in use, you can fold it and store in a safe place. The tubs are made of Polyethylene. With heavy-duty mesh tote bag. 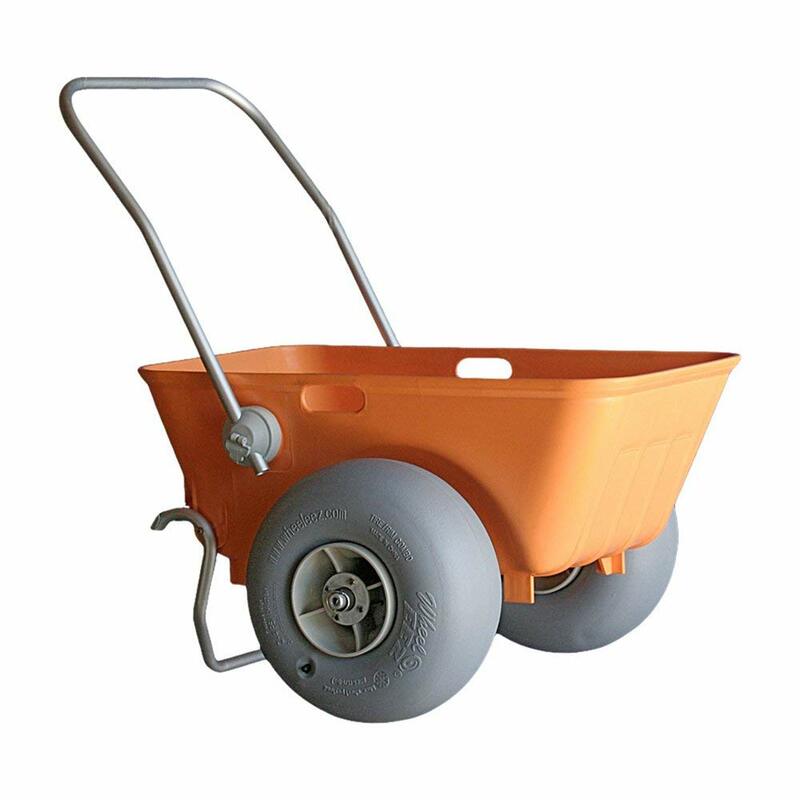 The wheels are designed to move over soft sand smoothly. Even a child can pull the cart. It can carry heavy loads. It can be used not just in beaches, but in garden and farms as well. Easy to push and pull even in unstable surface. The handle is not stable enough. 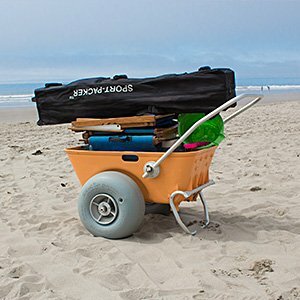 The Heavy Duty Beach Cart by Wheeleez is a good option, especially for those who need to carry heavy loads on the beach. Even if the price is a bit higher as compared to others, the quality of the product is worth it. You can use this cart on any terrain because it has big wheels. Thus, it will not get trapped in the sand. Recommended for people who always carry lots of stuff.